Pick-up: 8.30 a.m. Drop-off: 5.30 p.m. Highlights of the day: Radda in Chianti, Gaiole in Chianti, biking through unforgettable Tuscan hamlets, our exclusive, panoramic and unique route through the Chianti Region. We’ll follow an amazing itinerary showing us the most exclusive view of this beautiful and romantic landscape. An exhilarating trip through Tuscany, between Florence and Siena, promises a continually changing and always enchanting challenge. After picking you up in Florence, we move by van to the starting point of your ride. 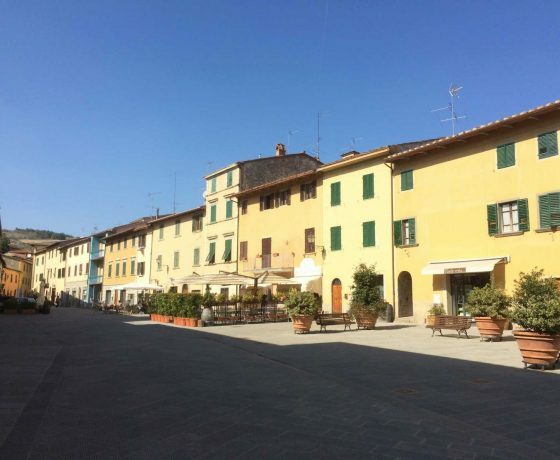 Passing through some of the most famous, charming Tuscan towns, we stop in Radda in Chianti, the ancient walled medieval village. Before beginning your adventure, you have time to visit the old village and immerse yourself in the rural atmosphere, so typical to this unique part of the world. 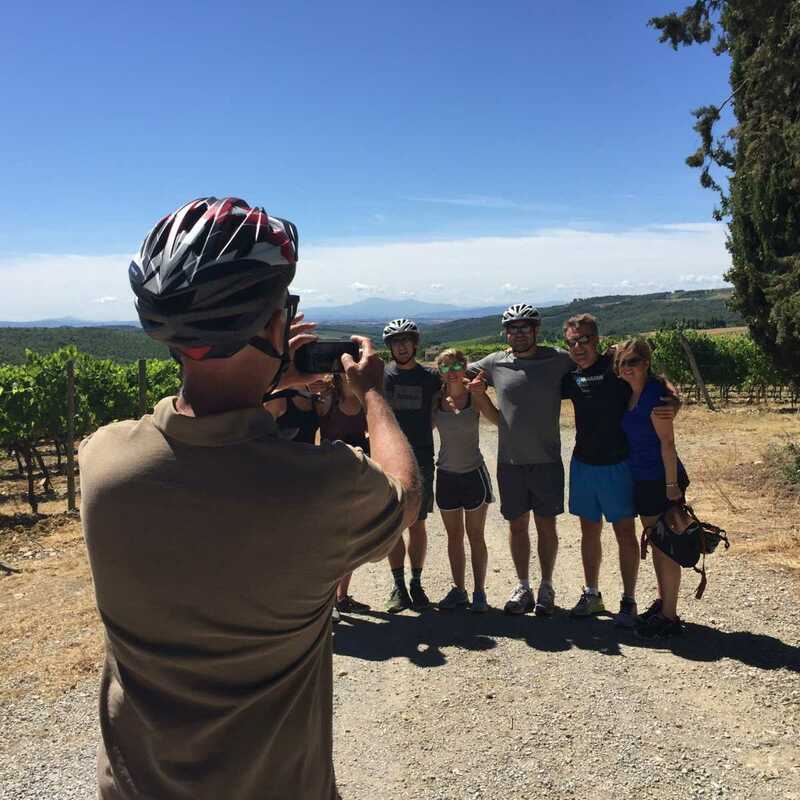 Once on the road, the soft rolling hills will capture your hearts and you’ll realize that cycling is truly the best way to soak up the Tuscan nature. We’ll see some of the most historical and prestigious Tuscan wineries while we’re passing through the open country roads with low traffic. Here, where life is slow, you can lose yourself in the same breathtaking views that have belonged to this countryside for centuries. 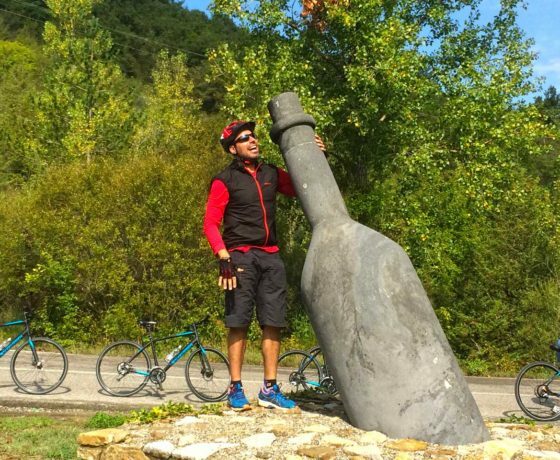 A land with this spirit won’t let you conquer it too easily but all you need is a little bit of effort to enjoy pedaling along the flowing back roads following in the footsteps of Baron Bettino Ricasoli! 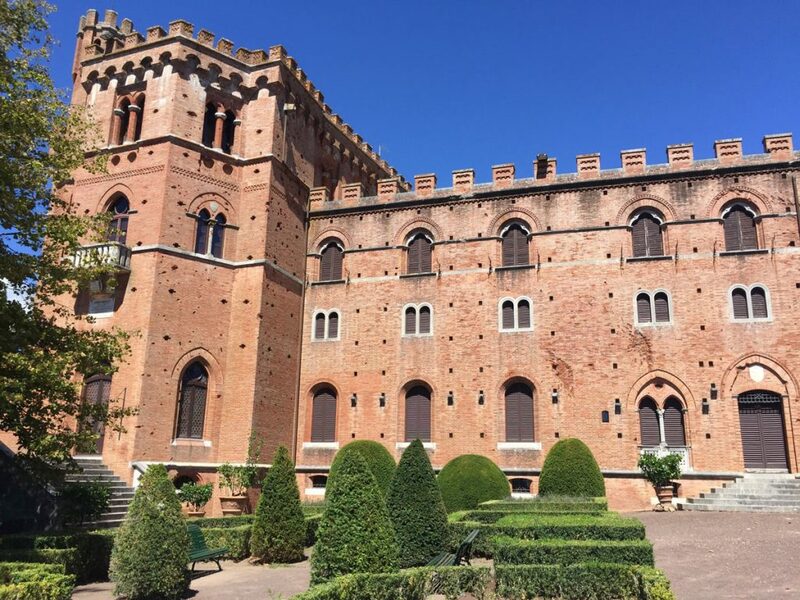 Wish to visit Siena including wine tour&tasting? 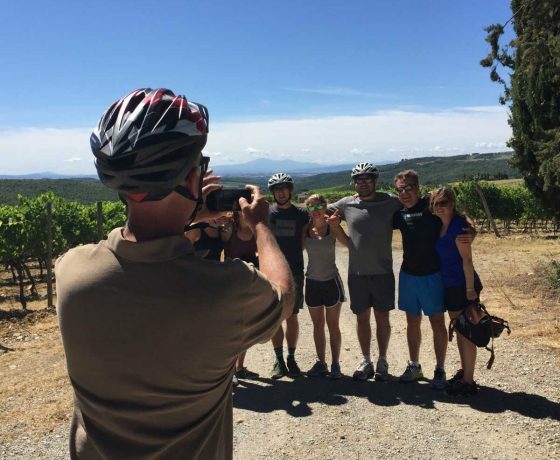 Want to pedal easily to San Gimignano enjoying wine & gelato? 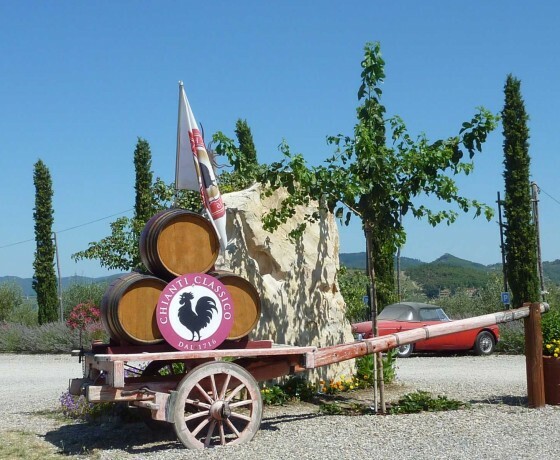 We’ll visit his castle and the Renaissance gardens that dominate the southern part of the Chianti Classico countryside. 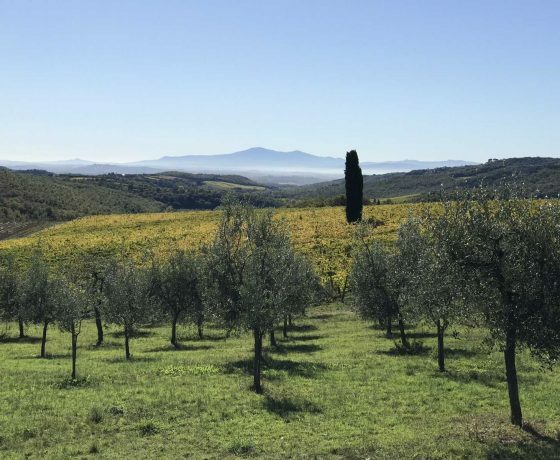 The gardens are stunning with their typical, geometric shaped bushes and English woods overlooking an impressive panorama of the Chianti area with Siena in the background. And now it’s time for a bit of rest! 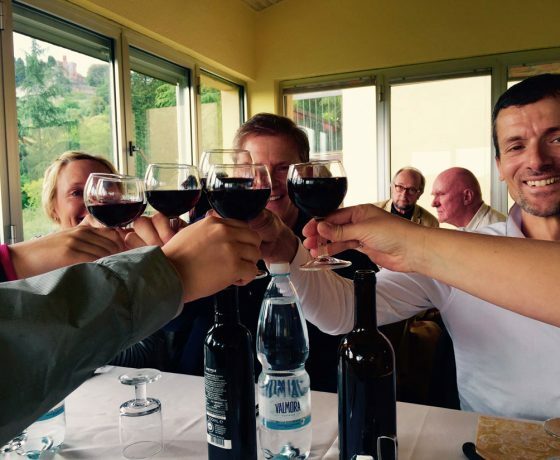 Your well-deserved lunch will complete this sensational morning and we will be glad to suggest you some of the best trattorias where you can enjoy the genuine taste of Tuscany. The emotions don’t stop here, though. 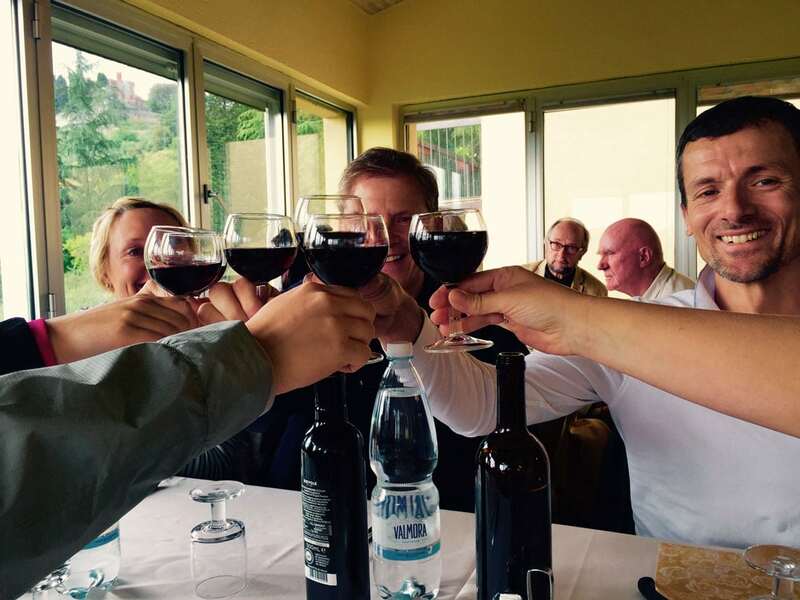 We can’t leave the castle without tasting the most historic Chianti Classico wines. The tasting room will welcome us with a warm and sophisticated ambiance. Did you know? 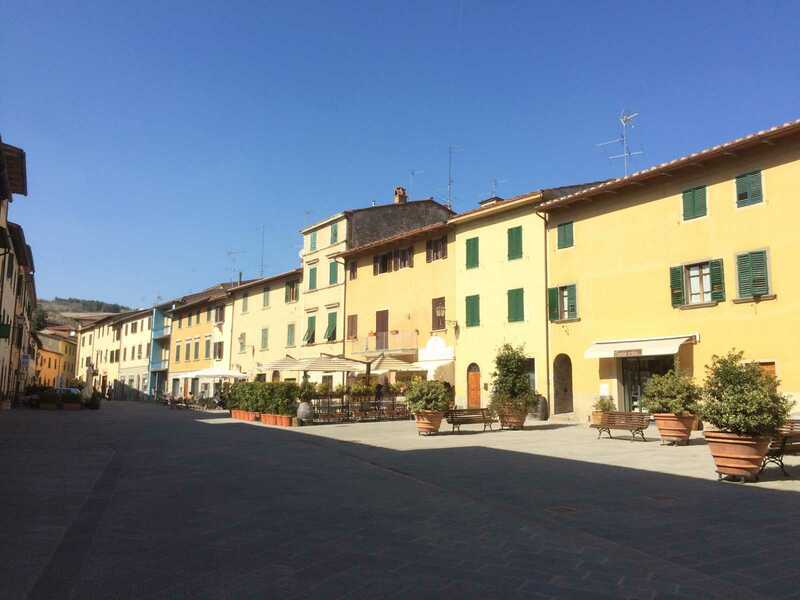 The recipe for our famous Chianti wine was written right here, almost 200 years ago! Ready for the grand finale, you’ll hop back on the bikes and retrace the beautiful road that brought us to the castle, this time heading downhill, leading us straight to Gaiole in Chianti, the last town of our ride. Gaiole was named the number one place in Forbes list of “Europe’s Most Idyllic Places to Live”. We’ll have time for a satisfying espresso before continuing our tour in the van. High-quality light-frame disk brakes 27-speed hybrid-bike, helmet, water bottle. Snacks & treats for your ride. Visit to the Castle of Brolio (entrance fee included). Distance traveled: about 16 miles/25 Kms. 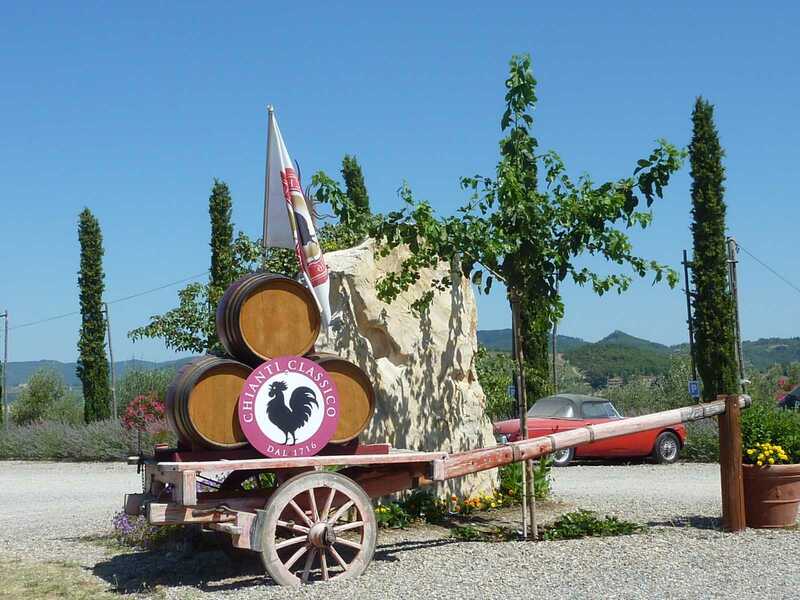 Starting point: from Radda in Chianti, quick shuttle to the starting point of your ride. Distance traveled: about 20 miles/32 Kms. 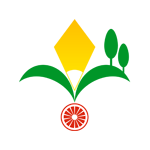 Starting point: Radda in Chianti. 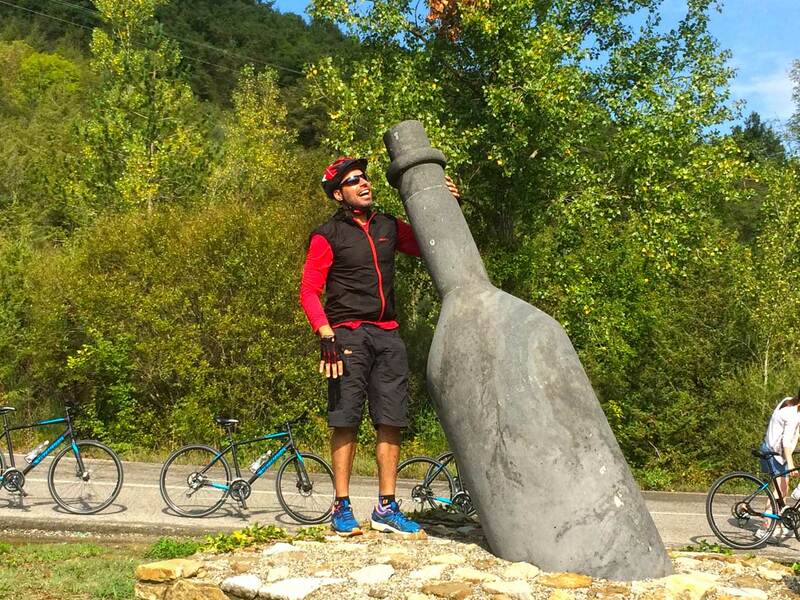 It is more than a bike tour, it's an experience for all involved! I would highly recommend this experience. 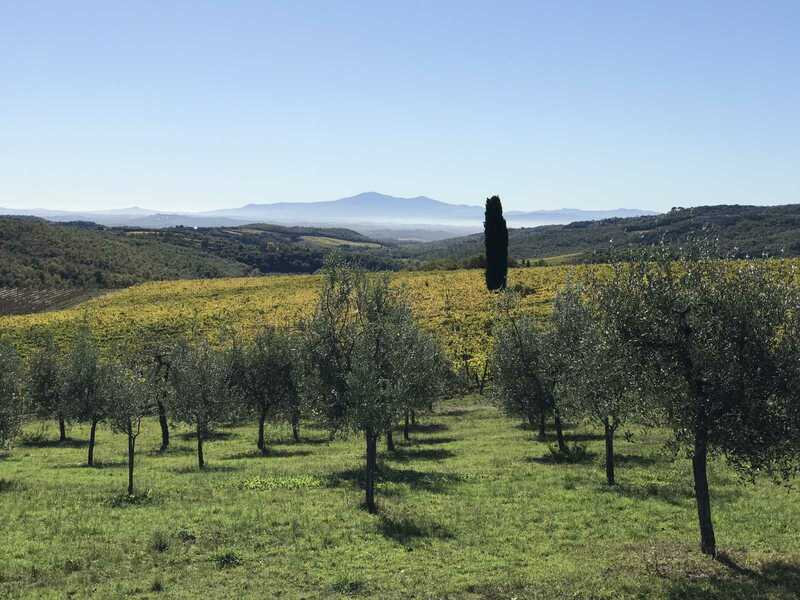 You not only get to see the beautiful countryside, but you really get a real taste of the Chianti region of Tuscany.